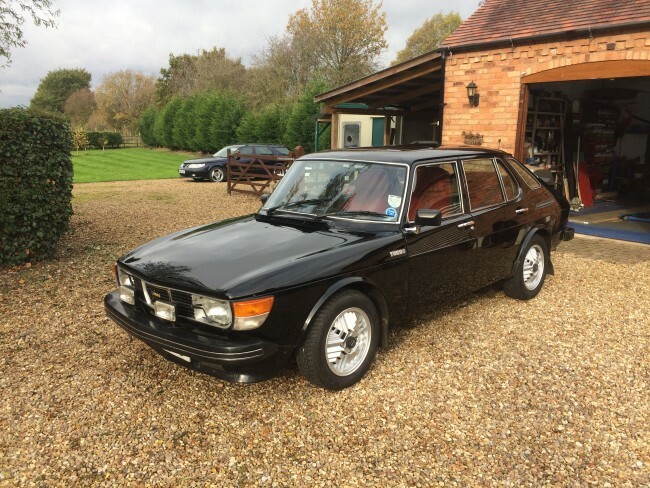 Originally was Managing directors car of SAAB GB and bought one year after it was registered. Built EMS specification originally with golf ball wheels which I changed as I like the Incas! GLE interior. This is an original as supplied from factory 5 door BLACK car which I have renovated in 1988.